The Queen Mary Stakes Group 2 is run on the second day of Royal Ascot, 19th June, 2013. This race is for two-year-old fillies competing over 5f. It is named after Queen Mary the consort of King George V. First raced in 1921 it was won by Wild Mint. In 2004, the Queen Mary was upgraded to Group 2 status. From a historical perspective, Sir Gordon Richards won the most races with 5 victories (Supervisor 1932 - Apparition 1946). While leading trainer Fred Darling trained 7 winners (Margeritta 1924 - Apparition 1946). Since the 1990s Richard Hannon & Mick Channon have achieved great success with a number of talented fillies. This race has been a tip for future juvenile successes. Lyric Fantasy (known as the ''pocket rocket''), Gay Gallanta, Blue Duster, Attraction & Queens Logic where awarded the title of European Champion Two-Year-Old Filly. Many others have been made favourite for the 1,000 Guineas, including the ill-fated Bint Allayl, who was trained by Mick Channon. 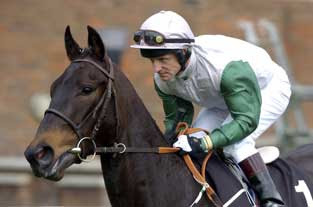 Probably the most successful winner was seen in 2003 with Attraction, a small filly with terrible conformation. Trained by Mark Johnston and ridden by Kevin Darley, she won by a stylish three lengths. She was an exceptional talent going on to win English & Irish 1,000 Guineas.